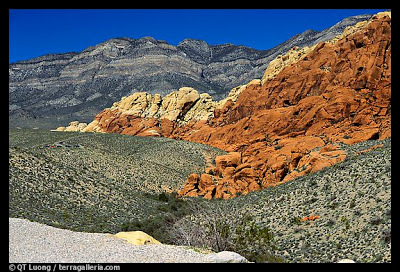 For my long run this weekend, I ran the Red Rock Canyon loop. If you’ve been to Vegas and haven’t been to the Red Rocks, it’s definitely a place to visit. Lots of hiking trails. My parents live just at the base of the canyon. The loop is about 15 miles, and it’s a brutal run since the first five miles is all uphill gaining 1,000 ft elevation. But it was a great training run with beautiful scenery. And I wasn’t too surprised at the large number of bikers and hikers who were out at 6 a.m. The post Red Rock Canyon appeared first on Darling Darleen | A Lifestyle Design Blog .